It's that time again! Last month I had a lot of fun with my Money Mayhem competition/giveaway, so I thought it would be fun to do it again! 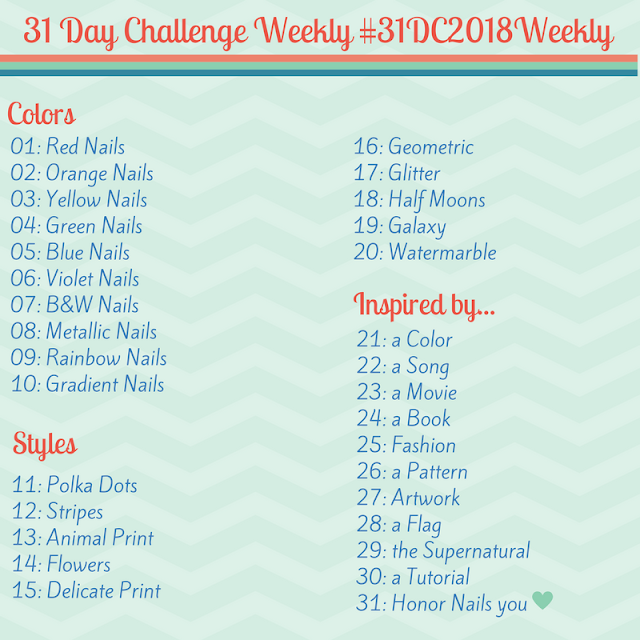 I can't give you too many hints, but this month I added a total of 33 polishes to my collection! Whew! So much for slowing down my polish purchasing. The caveat is that I've become more interested in gel nail polishes that can last even longer with my busy schedule. Of the 33 polishes I purchased, 10 out of the 33 polishes are LED curing gel polishes. (So really, I only purchased 23 regular nail polishes this month, which is only one more than last month!) The total amount I have spent on polish includes these gel nail polishes (I did spend the money after all). 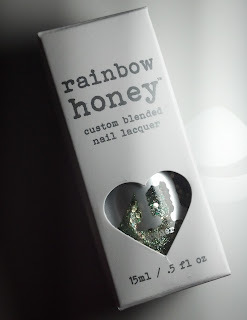 on nail polish for the month of March wins the giveaway prize. March's prize is Rainbow Honey Pot O'Gil! 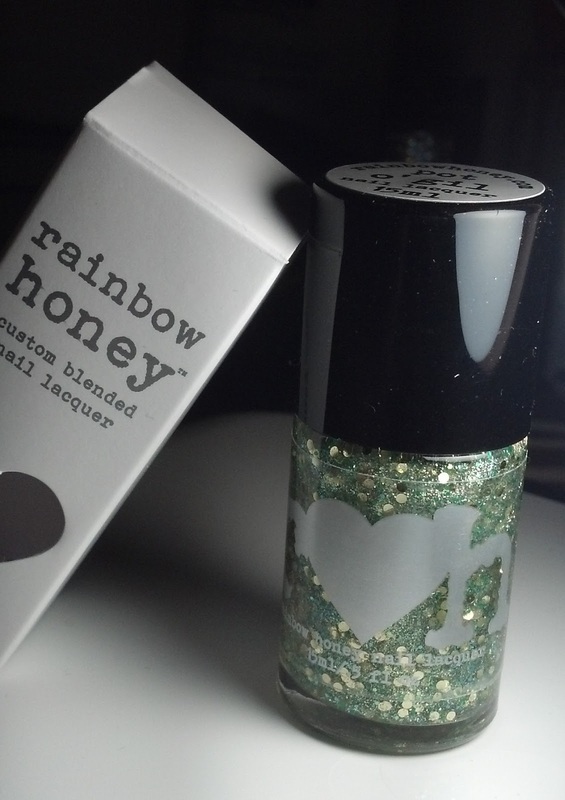 This is a limited edition polish from Rainbow Honey specifically for St. Patrick's Day! Do you feel lucky? You just might when you wear this combination of golden coins, shimmer, and green and gold glitters! 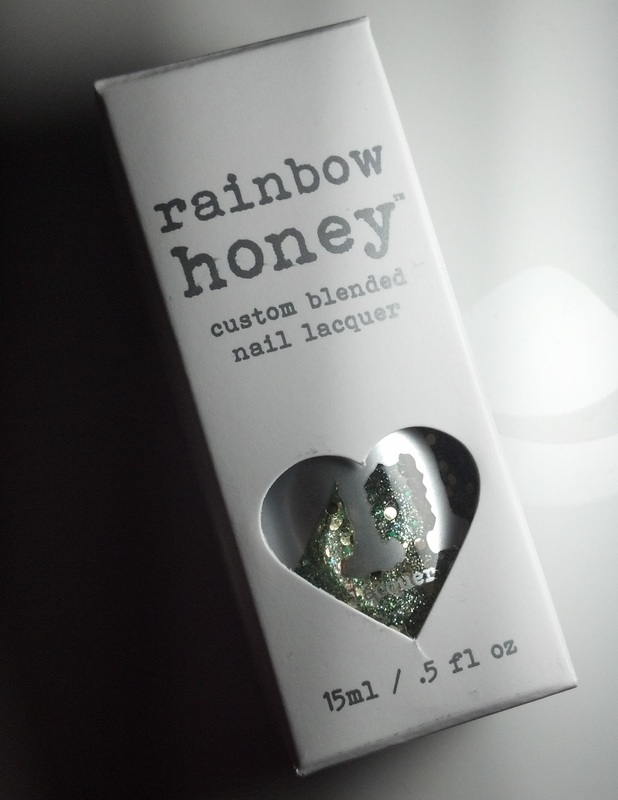 In a clear base, suitable for layering over your favorite lucky color. Slap it on and be sure to test your luck at the Gold Saucer!